WOW what a great property! 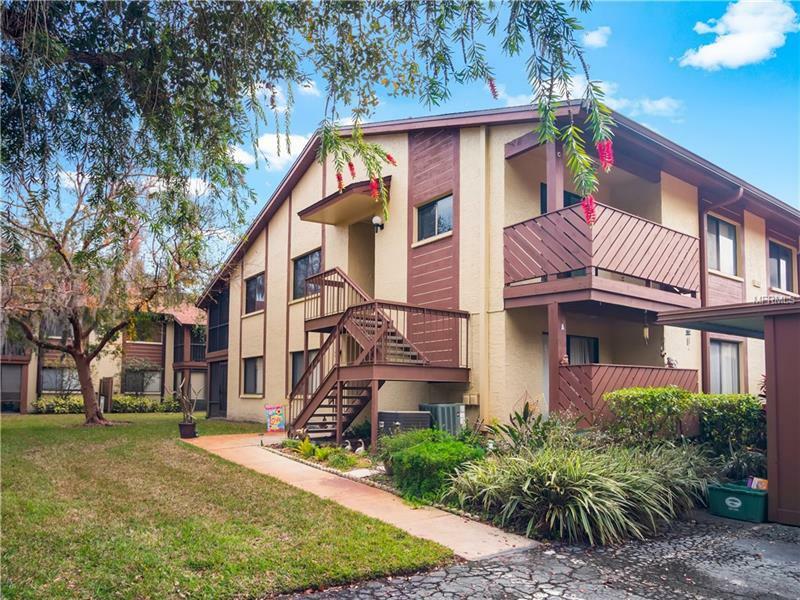 This beautiful condo is located in the much desired pet friendly community of Yorktown at Beacon Place & is just mins from Downtown Safety Harbor & the famous Safety Harbor Spa! 2 bedrooms & 2 full baths, inside utility room, tile in all of the main living area & new carpet in both bedrooms in 2017 make this a must see! Off of the large family room you have an enclosed balcony where you will love the peaceful view. Off of the kitchen you will enjoy the open balcony where both have sliders that add lots of natural light to this great home! The master features a large walk in closet, ceiling fan, large window & an updated master bath with a large walk in shower & many designer touches. The second bedroom also features a large window, ceiling fan & large closet. The kitchen has plenty of room for table & chairs & you will love all of the counter space & white raised panel cabinets. The laundry room has plenty of room for a full size washer & dryer plus there is a large closet pantry. This floor plan has room for a dining room set & still has plenty of room for a home office or work out area. Comes with one covered parking spot & large storage room. The community is surrounded by nature with beautiful trees. At the pool you will enjoy views of the community lake & fountain or sit on the Gazebo & relax enjoying all of sites. You will enjoy the community rec room, shuffle board & so much more! This unit is move in ready & mins to the marina, shopping, restaurants & so much more! Pet Restrictions: 25 pound weight limit is important....check with Association for additional specifics if necessary.